I’m not normally one for travel guides. Especially city guides that have to accommodate a persons every whim. They are really things that should be consumed beforehand and reduced to a few notes or page photos on your phone. To take the whole thing is far too unwieldy. And who wants to look like a tourist and attract the wrong attention anyway. Especially in Barcelona! 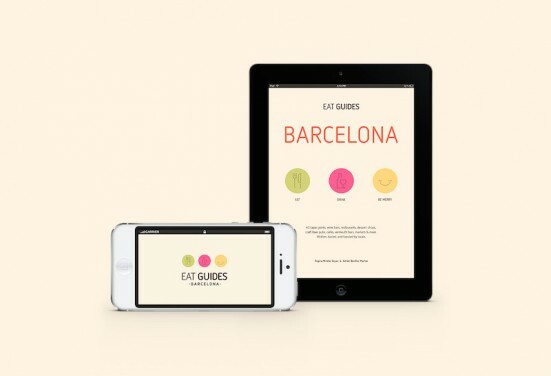 So it was with equal trepidation and interest when I was sent a copy of a new digital format eating guide for Barcelona, simply called Eat Guides: Barcelona. This was a topic close to my heart – who doesn’t like eating out. And the format was entirely agreeable as it comes as a PDF (or a range of other digital formats). So I can keep it on my phone! 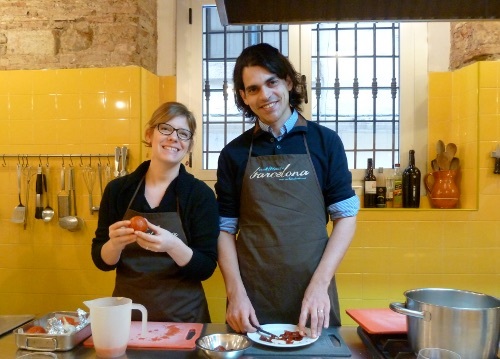 The guide is by Portlander, Regina Winkle-Bryan of The Spain Scoop and her partner, Barcelona-born Adrián Benítez Martos. A short way into the guide and it was plain to see that this couple know what they like and know where to get it. The guide features 40 establishments in Barcelona, categorised by type as well as neighbourhood. 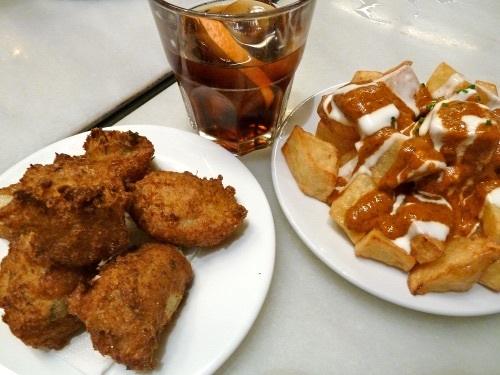 There are restaurants, bars and cafes; serving tapas, vegetarian, and Catalan food, with vermouth, craft beer and cocktails thrown in for good measure. There really is something for everyone. Regina and Adrián take turns to review these places. They provide information on pricing and atmosphere and include all the necessary details to get you there. Their descriptions are down to earth and thoroughly readable. Each review comes with a little anecdote of a time they spent there. I read the whole thing in one sitting and thoroughly enjoyed it. Each place is different and although I’ve lost count of how many restaurants I’ve been to in Barcelona I had only been to a quarter of the places listed in this guide. These are for the most part local places that for tourists will be a revelation from the norm and for expat locals will be a pleasant surprise; and you’ll be wondering why you hadn’t heard of these places before! This guide is dedicated to our American and Spanish parents, who taught us that an excellent meal has three ingredients: food worth remembering, wine worth savoring, and company worth keeping. And at a fiver for a great little list of ideas, with some inspiring reviews, that you can keep on your phone, the only question I have is: why wouldn’t you? You can order the guide in a number of digital formats from the Eat Guides website. All that’s left to say is, bon profit!